Caroline Wozniacki's preparations for her Australian Open defence hit a stumbling block with a shock loss to Bianca Andreescu in the second round of the Auckland Open on Thursday. Top seed Wozniacki coasted past Laura Siegemund in her opening match in New Zealand but went down 6-4 6-4 to Canadian teenager Andreescu, who is ranked 149 places below the world number three. The Dane tied the opening set at 4-4 when she converted her sixth break point of the game, but she was unable to consolidate it as Andreescu moved in front. The 18-year-old was pegged back by Wozniacki after an early break in the second and had a medical time-out for a back problem before edging ahead in game nine and closing out a win that sent her into the quarter-finals. 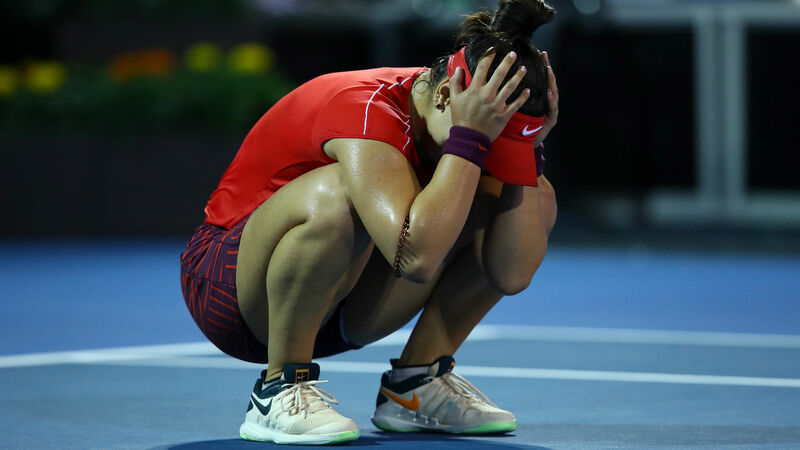 Andreescu will meet Venus Williams after the seven-time major winner overcame Lauren Davis 6-4 6-3, while Amanda Anisimova will meet Viktoria Kuzmova after they beat Barbora Strycova and Sofia Kenin respectively. Naomi Osaka ended a two-match losing streak against Anastasija Sevastova, but she needed three sets to beat the Latvian at the Brisbane International. US Open champion Osaka failed to engineer a break point in the opening set but took six games in succession in the second before completing a 3-6 6-0 6-4 win. "This match was really important because I think that I can handle power players pretty well. But for me it was always harder to hit against people like her because I don't really know what's coming next," said Osaka. "I feel like right now I'm really confident in myself, and I feel like the off-season training that I've been doing is really paying off. And I'm not sure if I would have had the same feeling six months ago." Rain meant no matches were completed at the Shenzhen Open, with Veronika Kudermetova a set up against Vera Zvonareva and Sorana Cirstea 2-0 ahead in the first set of her clash with Alison Riske before play was suspended.